Project proposal writing. Learn how to write a project proposal that gets your project funded. Struggling to write a proposal that "sells" your project? Can't work out why your brilliantly written and formatted proposals fail to engage the decision-makers that count? 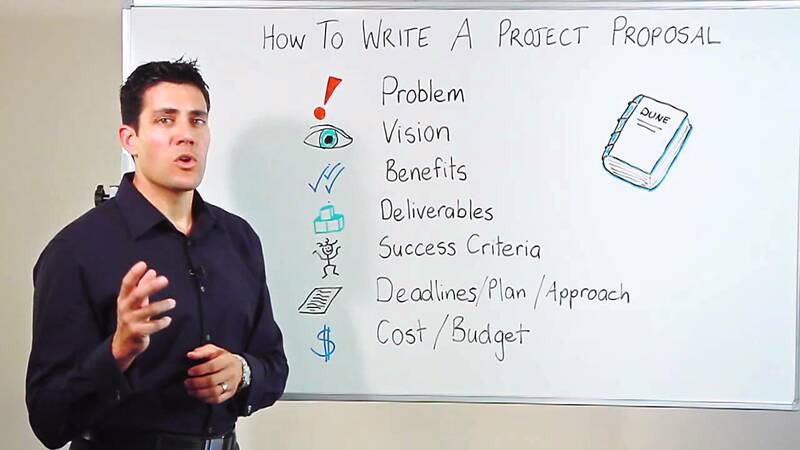 Watch as Director Devin Deen shares his winning project proposal writing tips with you in this short but compelling project management video on "how to write winning project proposals."